900 lbs, fiberglass, center board, balsa core. 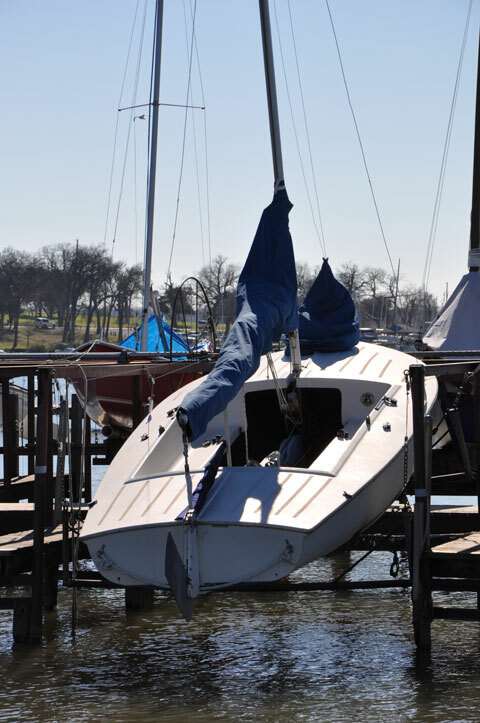 19' centerboard sloop, used for both day sailing and racing, fiberglass. My Flying Scot #2528 is very sound and in very good condition, no water damage or soft spots. 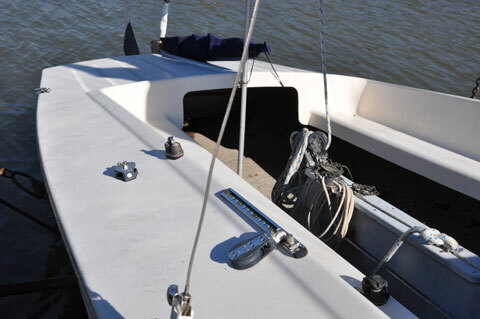 Length, waterline 18' 6" / 5.6 m.
Beam 6' 9" / 2.0 m.
Draft, board up 8" / .2 m.
Draft, board down 48" / 1.2 m.
Mast height, above water 28' / 8.6 m.
Sail Area, main & jib 191 sq. ft. / 17.65 sq. m.
Sail Area, spinnaker 200 sq. ft. / 18.6 sq. m.
Weight, all up 850 lbs. / 385 kg. 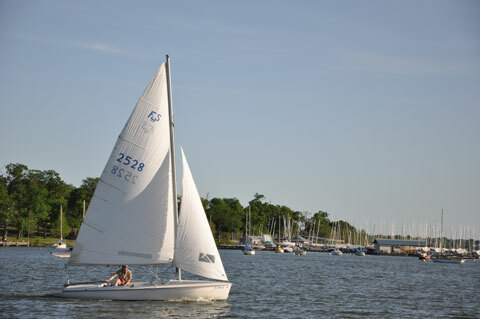 The main, jib and spinnaker sails are quite adequate for day sailing. 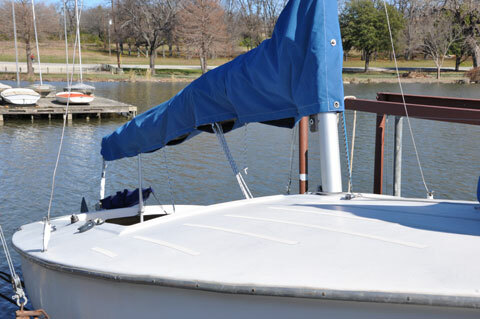 I have sailed and maintained this 19' boat for over seven years. The Flying Scots can often be seen racing on Sunday afternoons at White Rock Lake. The rigging has been professionally tuned. 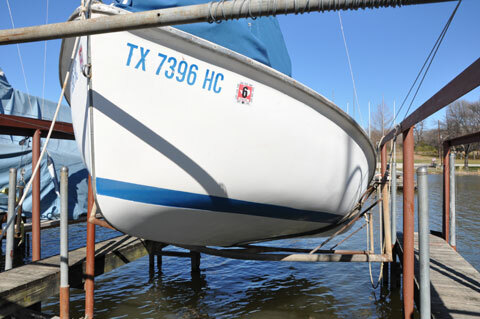 The boat can be seen by appointment only at White Rock Boat Club, Dallas, TX.